I must admit I have a fetish for military aircraft. I have bought every book I could on them, and I have also purchased almost every computer simulation of them I could. For some reason my fancy is tickled, especially by Axis aircraft of WWII. Mustangs were war winners and Spitfires are beautiful in a way, but give me a Macchi or a Nakajima and my eyes sort of glaze over. So I have more than my share of book compendiums like this one, but not like this one. Everyone of the compendiums of a certain war or country that I have purchased or read has left me a bit dry. Oh sure, they give you the speed, and altitude etc. of the plane, or in actuality one of the plane's variants. 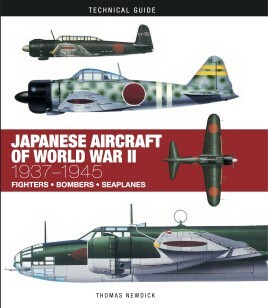 What they don't show you is what is in this handy volume of Japanese planes. This book only shows planes that actually flew, and not planes that were still on the drawing board or in another development phase. There are six planes that are in the 'Technical Drawings'. They are as follows: Dinah, Tony, Zeke, Betty, Oscar, and a Frank. For those who do not know, boys' names were given by the Allies to Japanese fighters, and girls' names were given to their bombers. Notice there is no 'Zero'. The Mitsubishi A6M Reisen was actually called a Zeke by the Allies, and not a Zero. The 'Zero' came from the fact that it started its career in the year 2000 of the Japanese calendar. For the types and their variants there are listings for how many airframes were built no matter how few. The book also explains that there was a separate Army and Navy Air Force in Japan at the time. 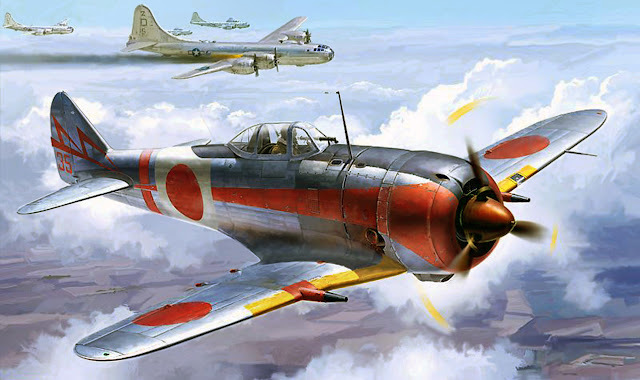 To further confuse the issue some Japanese naval Aircraft were only land based and not capable of carrier operations. The book itself is only 128 pages long, but it is packed with facts and figures about all of the Japanese aircraft. As a handy reference on Japanese warplanes, this cannot be beat. The fact that the specifications of all the major variants are given is more than worth the price. A note to the reader: these specifications are almost all from Japanese sources. When several fighters were tested in the U.S. during and after the war, they were given high octane fuel just like our own planes. The Japanese had only a very limited supply of this at the beginning of the war, and were never able to replace it. So the airplanes tested had higher speeds during our testing than would show on Japanese specifications. The book also goes into, in a limited way, some of the air munitions that were carried by these planes. All in all, it is the best small volume of its kind that I have read, with more than enough information for the casual reader or plane aficionado. Hopefully the author is working on a similar book for Italian World War II planes. I couldn't resist adding this picture.